If you’re like most people, you probably spend at least a bit of time each day on oral hygiene. Most of us are willing to do this because we want to have a bright smile and fresh-smelling breath when interacting with family, friends and business associates. But letting oral hygiene lapse can lead to consequences far more serious than social embarrassment: Dental plaque that’s loaded with bacteria will build up on our teeth, setting the stage for tooth decay and gum disease. And the longer we let this situation go, the more difficult (and expensive) it will be to restore our oral health. Do you brush your teeth twice each day? If so, that’s great. But you also need to floss at least once a day if you want to prevent gum disease — a problem that affects nearly half the population over age 30. Your toothbrush just can’t reach all the areas between your teeth, which make up about a third of your tooth surfaces overall. In fact, it’s best to start with flossing, so that you make sure it actually happens; then brush afterwards. 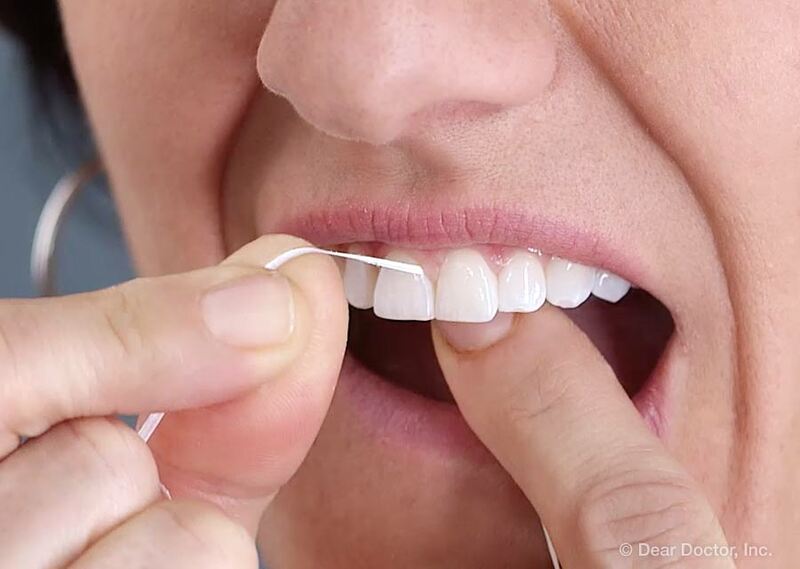 While you’re flossing, remember that each space between teeth has two sides, and you need to move the floss gently up and down each side with enough pressure to keep the floss tight to the tooth surface. If you find flossing difficult, try pre-loaded floss holders, which are available at any drug store. After you floss, brush for at least two minutes using a toothpaste that contains fluoride. This will strengthen your teeth and help them to resist decay. Children and even babies need good oral hygiene, too. Newly emerging baby teeth should be wiped with a clean, damp washcloth after feedings. Baby teeth that have grown all the way in should be brushed with a soft-bristled child’s toothbrush and a thin smear of fluoride toothpaste. Any two teeth right next to each other should be flossed. When your child turns 3, you can increase the amount of toothpaste used to a pea-sized dab. Why is sugar the enemy of your teeth? Because it feeds the bacteria that cause tooth decay. When these bacteria break down sugar in the mouth, they release acids that erode tooth enamel. The cavities caused by this acid allow the bacteria to penetrate — deeper inside the tooth. If they reach the inner pulp tissue, a root canal treatment may be needed to save the tooth. That’s why maintaining good oral hygiene is so much easier if you avoid sticky, sugary “foods” like donuts and candy bars. And don’t forget that soda and fruit juices bathe your teeth in sugar — and acid. Even diet sodas and canned ice teas have harmful, tooth-eroding acid. This is a message your kids should be hearing from you — early and often. The other crucial part of an effective oral hygiene program is to come in for regular professional exams and cleanings. Your dental hygienist has special tools and techniques to remove plaque deposits that you can’t get to with a toothbrush or even floss. Your smile will look and feel great after a professional cleaning. You’ll also have a thorough exam to make sure any dental problems are found and treated quickly. Children can benefit from special preventive services such as topical fluoride treatments and dental sealants. And patients of all ages can receive oral hygiene tips geared toward their own unique concerns. If you can stick with these three important components — and help your children to do so as well — you’ll have the best chance for a lifetime of beautiful teeth and happy smiles.